I have mentioned in a couple of previous posts that this year I was going to make 2 different types of Christmas cards this year. 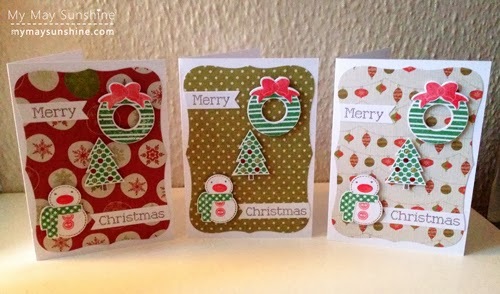 The first ones are from the Dovecraft back to basic traditional paper pack. They are more traditional colours, as the papers are called, than the second set of cards I have made but have some lovely patterns. I went with the largest die from the Spellbinders Nestabilities label 8 dies, for the background patterned paper and used a couple of Clearly Besotted stamp sets for the sentiment and images. 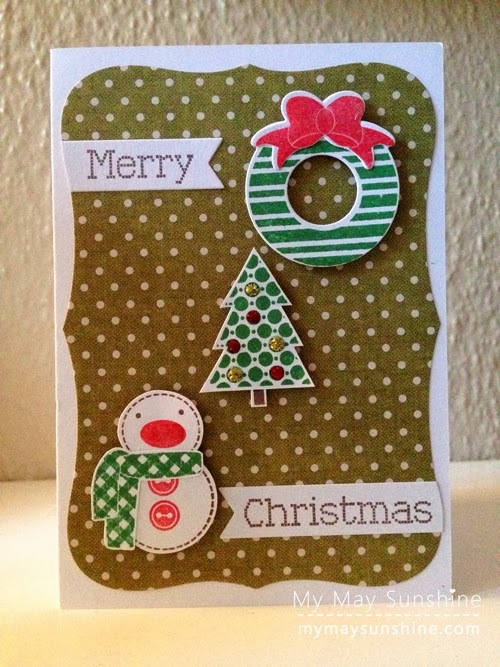 For the images I chose the wreath and tree from the Signature Christmas stamp set and the snowman is from the Institches Christmas stamp set. 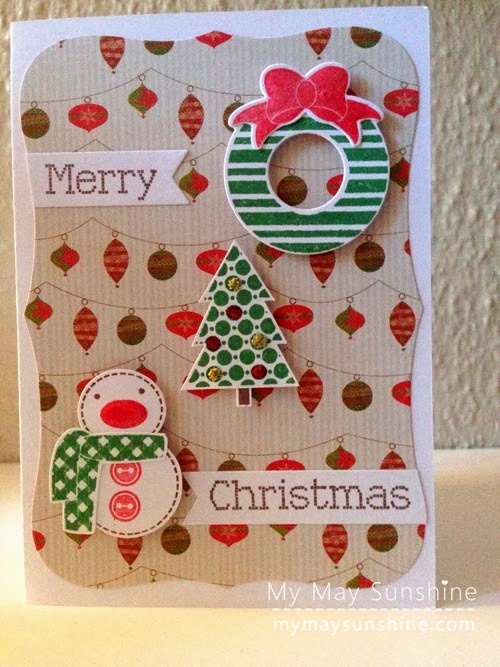 The sentiment was also from the Institches Christmas stamp set. For the wreath and tree I also used the matching die set to cut them out but for the snowman, I just cut it out along with the scarf. 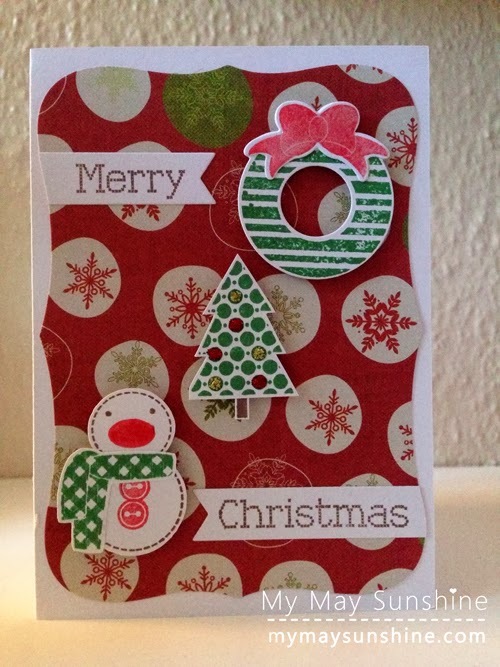 I decided to use the banner die from the Clearly Besotted Tag Along set to stamp the sentiment on and just cut the one side to match the shape of the background patterned paper. I also added some glossy accents to the ribbon on the wreath and on the snowman’s nose to add some shine and added some Stickles glitter to create baubles on the tree to add some sparkle. These were just three cards I made with this design but I just changed to background patterned paper to make each card different. Hope you are having a good week. See you soon with the second set of Christmas cards I have made.